Spray 3 to 4-quart slow cooker with cooking spray. 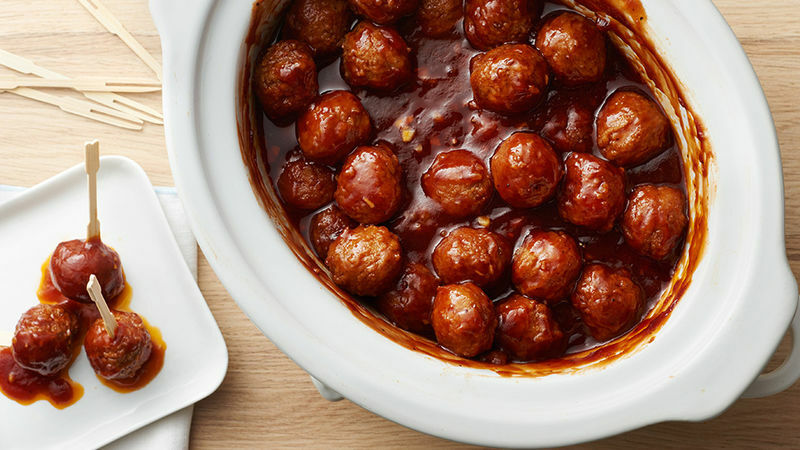 Add meatballs to slow cooker. In medium bowl, mix barbecue sauce, honey and garlic, mixing well. Pour on top of meatballs in slow cooker; stir to coat. Cover; cook on High heat setting 2 1/2 to 3 hours or until thermometer inserted in center of meatball reads 165°F. 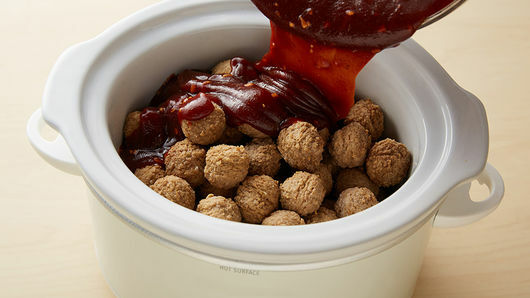 Stir before serving to evenly coat meatballs in barbecue sauce mixture. 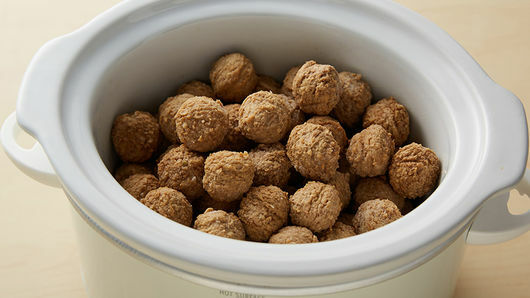 For proper food safety, be sure meatballs are thawed before adding to slow cooker. Barbecue sauces vary significantly in flavor. We recommend an original sweet barbecue sauce for this recipe. You can stop looking for the perfect party app now because it really doesn’t get better than these slow-cooker meatballs! Who doesn’t want an easy, flavor-packed appetizer that you can throw in the slow cooker? Just thaw your meatballs, douse them in this irresistible glaze, and go. We’ll find any excuse to make these year-round for everything from summer barbecues to fall football and even the occasional holiday party. They will always be one of the first dishes to disappear. This recipe uses frozen meatballs, but if you want to try your hand at making them from scratch we have the guide you need. Or if you’re looking to expand your recipe box even further, we have many more slow-cooker meatball recipes for you to try.